For other people with the same name, see Werfel. A Bohemian is a resident of Bohemia, a region of the Czech Republic or the former Kingdom of Bohemia, a region of the former Crown of Bohemia. In English, the word "Bohemian" was used to denote the Czech people as well as the Czech language before the word "Czech" became prevalent in the early 20th century. Born in Prague (then part of the Austro-Hungarian Empire), Werfel was the first of three children of a wealthy manufacturer of gloves and leather goods, Rudolf Werfel. His mother, Albine Kussi, was the daughter of a mill owner. His two sisters were Hanna (born 1896) and Marianne Amalie (born 1899). His family was Jewish. As a child, Werfel was raised by his Czech Catholic governess, Barbara Šimůnková, who often took him to mass in Prague's main cathedral. Like the children of other progressive German-speaking Jews in Prague, Werfel was educated at a Catholic school run by the Piarists, a teaching order that allowed for a rabbi to instruct Jewish students for their Bar Mitzvahs. This, along with his governess's influence, gave Werfel an early interest (and expertise) in Catholicism, which soon branched out to other faiths, including Theosophy and Islam, such that his fiction, as well as his nonfiction, provides some insight into comparative religion. Hanna Fuchs-Robettin (1896–1964) was the sister of Franz Werfel, wife of Herbert Fuchs-Robettin, and mistress of Alban Berg. Berg secretly and cryptically dedicated his Lyric Suite to her. Werfel began writing at an early age and, by 1911, had published his first book of poems, Der Weltfreund, which can be translated as "the friend to the world" as well as philanthropist, humanitarian, and the like. By this time, Werfel had befriended other German Jewish writers who frequented Prague's Café Arco, chief among them Max Brod and Franz Kafka, and his poetry was praised by such critics as Karl Kraus, who published Werfel's early poems in Kraus's journal, Die Fackel (The Torch). In 1912, Werfel moved to Leipzig, where he became an editor for Kurt Wolff's new publishing firm, where Werfel championed and edited Georg Trakl's first book of poetry. While he lived in Germany, Werfel's milieu grew to include Else Lasker-Schüler, Martin Buber, Rainer Maria Rilke, among other German-language writers, poets, and intellectuals in the first decades of the twentieth century. Max Brod was a German-speaking Jewish Czech, later Israeli, author, composer, and journalist. Although he was a prolific writer in his own right, he is most famous as the friend and biographer of writer Franz Kafka. Kafka, who had named Brod as his literary executor, instructed him to burn his unpublished work upon the former's death, but he refused and had them published instead. Franz Kafka was a German-speaking Bohemian Jewish novelist and short-story writer, widely regarded as one of the major figures of 20th-century literature. His work, which fuses elements of realism and the fantastic, typically features isolated protagonists facing bizarre or surrealistic predicaments and incomprehensible socio-bureaucratic powers, and has been interpreted as exploring themes of alienation, existential anxiety, guilt, and absurdity. His best known works include "Die Verwandlung", Der Process, and Das Schloss. The term Kafkaesque has entered the English language to describe situations like those found in his writing. Karl Kraus was an Austrian writer and journalist, known as a satirist, essayist, aphorist, playwright and poet. He directed his satire at the press, German culture, and German and Austrian politics. The Austrian author Stefan Zweig once called Kraus "the master of venomous ridicule". He was nominated for the Nobel Prize in Literature three times. The Eastern Front or Eastern Theater of World War I was a theatre of operations that encompassed at its greatest extent the entire frontier between the Russian Empire and Romania on one side and the Austro-Hungarian Empire, Bulgaria, the Ottoman Empire and the German Empire on the other. It stretched from the Baltic Sea in the north to the Black Sea in the south, involved most of Eastern Europe and stretched deep into Central Europe as well. The term contrasts with "Western Front", which was being fought in Belgium and France. An imaginarium refers to a place devoted to the imagination. There are various types of imaginaria, centers largely devoted to stimulating and cultivating the imagination, towards scientific, artistic, commercial, recreational, or spiritual ends. In the summer of 1917, Werfel left the frontline for the Military Press Bureau in Vienna, where he joined other notable Austrian writers serving as propagandists, among them Robert Musil, Rilke, Hugo von Hofmannsthal, and Franz Blei. Through the latter, Werfel met and fell in love with Alma Mahler, widow of Gustav Mahler, the former lover of the painter Oskar Kokoschka, and the wife of the architect Walter Gropius, then serving in the Imperial German Army on the Western Front. Alma, who was also a composer, had already set one of Werfel's poems to music, reciprocated despite Werfel being much younger, shorter, and having Jewish features that she, being both anti-Semitic and attracted to Jewish men, found initially distasteful. Their love affair culminated in the premature birth of a son, Martin, in August 1918. Martin, who was given the surname of Gropius, died in May of the following year. Despite attempts to save his marriage to Alma, with whom he had a young daughter, Manon, Gropius reluctantly agreed to a divorce in 1920. Ironically, Alma refused to marry Werfel for the next nine years. However, Alma, more so than with her first two husbands and lovers, lent herself to the development of Werfel's career and influenced it in such a way that he became an accomplished playwright and novelist as well as poet. They married on 6 July 1929. Robert Musil was an Austrian philosophical writer. His unfinished novel The Man Without Qualities is generally considered to be one of the most important and influential modernist novels. Franz Blei was an essayist, playwright and translator. He was also noted as a bibliophile, a critic, an editor in chief and publisher, and a fine wit in conversation. He was a friend and collaborator of Franz Kafka. In April 1924, Verdi – Roman der Oper (Novel of the Opera) was published by Zsolnay Verlag, establishing Werfel's reputation as a novelist. In 1926, Werfel was awarded the Grillparzer Prize by the Austrian Academy of Sciences, and in Berlin, Max Reinhardt performed his play Juarez and Maximilian. By the end of the decade, Werfel had become one of the most important and established writers in German and Austrian literature and had already merited one full-length critical biography. Memorial to Franz Werfel by Ohan Petrosian in Schiller Park in Vienna. The granite pillar carries the inscription: "In Dankbarkeit und Hochachtung das Armenische Volk" ("In gratitude and respect, the Armenian people"). 2006 Posthumous Award of Armenian Honorary Citizenship; the plaque was presented to the Austrian National Library. Alma Maria Mahler Gropius Werfel was a Viennese-born composer, author, editor and socialite. At fifteen, she was mentored by Max Burckhard. Musically active from her early years, she was the composer of at least 17 songs for voice and piano. Martin Buber was an Austrian-born Israeli Jewish philosopher best known for his philosophy of dialogue, a form of existentialism centered on the distinction between the I–Thou relationship and the I–It relationship. Born in Vienna, Buber came from a family of observant Jews, but broke with Jewish custom to pursue secular studies in philosophy. In 1902, he became the editor of the weekly Die Welt, the central organ of the Zionist movement, although he later withdrew from organizational work in Zionism. 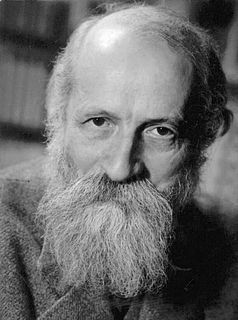 In 1923, Buber wrote his famous essay on existence, Ich und Du, and in 1925, he began translating the Hebrew Bible into the German language. The Vienna Central Cemetery is one of the largest cemeteries in the world by number of interred, and is the most famous cemetery among Vienna's nearly 50 cemeteries. Friedrich Torberg is the pen-name of Friedrich Kantor, an Austrian writer. The Forty Days of Musa Dagh is a 1933 novel by Austrian-Bohemian writer Franz Werfel based on true events that took place in 1915, during the second year of World War I and at the beginning of the Armenian Genocide. Musa Dagh is a mountain in the Hatay province of Turkey. In 1915 it was the location of a successful Armenian resistance to the Armenian Genocide, an event that inspired Franz Werfel to write the novel The Forty Days of Musa Dagh. Ernst Deutsch, also known as Ernest Dorian, was a Jewish Austrian actor. In 1916, his performance as the protagonist in the world première of Walter Hasenclever's Expressionist play The Son in Dresden was praised. Deutsch also played the antihero Famulus in Paul Wegener's The Golem: How He Came into the World in 1920. He is known by English-speaking audiences for his role as Baron Kurtz in Carol Reed's 1949 film noir, The Third Man. Johannes Lepsius was a German Protestant missionary, Orientalist, and humanist with a special interest in trying to prevent the Armenian Genocide in the Ottoman Empire. He initially studied mathematics and philosophy in Munich and a PhD in 1880 with an already award-winning work. Lepsius was one of the founders and the first chairman of the German–Armenian Society. The Franz Werfel Human Rights Award is a human rights award of the German Federation of Expellees' Centre Against Expulsions project. It is awarded to individuals or groups in Europe who, through political, artistic, philosophical or practical work, have opposed breaches of human rights by genocide, ethnic cleansing, and the deliberate destruction of national, ethnic, racial or religious groups. The Song of Bernadette is a 1941 novel that tells the story of Saint Bernadette Soubirous, who, from February to July 1858 reported eighteen visions of the Blessed Virgin Mary in Lourdes, France. The novel was written by Franz Werfel and translated into English by Lewis Lewisohn in 1942. It was extremely popular, spending more than a year on the New York Times Best Seller list and 13 weeks in first place. Werfel is a German and Jewish surname, mentioned in Denmark, Poland, Czech Republic. Paulus Manker is an Austrian film director and actor, as well as an author and screenplay writer. Alma is an example of site-specific promenade theatre created by Israeli writer Joshua Sobol based on the life of Alma Mahler-Werfel. It opened in 1996, under the direction of Austrian Paulus Manker, at a former Jugendstil sanatorium building designed by architect Josef Hoffmann located in Purkersdorf near Vienna; and subsequently toured to locations in Venice, Lisbon, Los Angeles, Petronell, Berlin, Semmering, Jerusalem, and Prague. Artem Ohandjanian is an Austrian-Armenian historian and documentalist, Honorary Doctor of Sciences Academy of Armenia. He is the deputy head of the "Franz Werfel Committee" (Austria). The novel The Story of the Last Thought of the German-Jewish writer Edgar Hilsenrath is about the Armenian Genocide in 1915. The epic which has the form of a fairy tale (Märchen) and for which Hilsenrath received many prizes is regarded as the most important book about this historical episode. In 2006 the president of Armenia presented the author with the State Award for Literature of the Republic of Armenia for his work. The Forty Days of Musa Dagh is a 1933 novel by the Austrian-Jewish author Franz Werfel. Based on the events at Musa Dagh in 1915 during the Armenian Genocide in the Ottoman Empire, the book played a role in organizing the Jewish resistance under Nazi rule. It was passed from hand to hand in Jewish ghettos in Nazi-occupied Europe, and it became an example and a symbol for the Jewish underground throughout Europe. The Holocaust scholars Samuel Totten, Paul Bartrop and Steven L. Jacobs underline the importance of the book for many of the ghettos' Jews: "The book was read by many Jews during World War II and was viewed as an allegory of their own situation in the Nazi-established ghettos, and what they might do about it." Alma Manon Gropius was the daughter of the architect Walter Gropius and the composer and diarist Alma Mahler and the stepdaughter of the novelist and poet Franz Werfel. She is a Randfigur whose importance lies in her key relationships to major figures: a muse who inspired the composer Alban Berg as well as Werfel and the Nobel Prize-winning writer Elias Canetti. Manon Gropius is most often cited as the "angel" and dedicatee of Berg's Violin Concerto (1935). Nevdon Jamgochian is an American artist. Armenian–Jewish relations are complex, often due to political and historical reasons. 1 2 3 4 5 6 7 8 Jungk, Peter Stephan (1990). Franz Werfel: A Life in Prague, Vienna, & Hollywood. Translated by Anselm Hollo. New York: Grove Weidenfeld. ISBN 0-8021-1097-5. ↑ Martin Buber, "Vorbemerkung über Franz Werfel", Der Jude 2, nos. 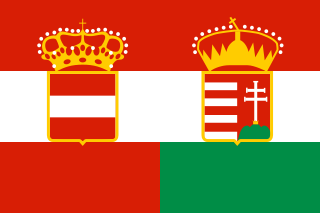 1–2 (April–May 1917): 109–112. ↑ Robert Fisk, The Great War For Civilization: The Conquest of the Middle East, (New York: Knopf, 2006), 231." Wikimedia Commons has media related to Franz Werfel .